Metal prices both precious and base have been pretty dismal the past few years. Aside from palladium going to the moon price wise in the precious metal side, the only other metal that has had any shine is copper. This is mainly due to the fact that there could very well be a massive shortage of copper in years to come. This shortage is mainly derived from countries around the world that are going more green with both electric cars and electric transportation in general, and it is widely projected that global demand for refined copper will out pace production and the market will be in deficit over the next few years. You see, getting off fossil fuels and going electric like so many places around the world want to do, takes a whack of other ingredients like lithium and cobalt but mostly copper, and when you look into the actual manufacturing of electric cars and their batteries and other components, you end up using a lot of copper. Todays cars use something like 55 pounds of copper whereas electric cars are projected to use about 165 pound of copper. So when you think that it takes something like a decade or even more to get an actual mine up and running, now is probably a good time to be out exploring for a nice size copper deposit. And that is what this junior we're going to look at is doing. The junior I'm talking about today is a small explorer called Universal Copper UNV. They just started trading under the new symbol, UNV on the venture exchange in the last week. This company use to be Tasca Resources and Tasca had a couple of projects on the go in British Columbia. The company CEO is Clive Massey who brings extensive experience in running public companies and most importantly, junior mining companies. Universal Copper has a 100% interest in the Princeton Property in southern BC. This is a gold project which is close to the property that Westhaven Resources is working on. For anyone who has been following Westhaven in the last while you know all to well what good gold grades can do for an investor. Universal Copper also has the Poplar project in north west BC. This property has a historic 43-101 reoprts and is one of the most pre-production deposits in BC at this time. The property has seen historical diamond drilling totaling 39,648 meters in 147 holes plus and additional 135 diamond and percussion holes totaling 6,817 meters. One of the reasons for the name change is that the company wants to be focused only on copper and in doing so the company just aquired some prime copper exploration property in Colombia South America. This property situated in an area called the Gachala copper belt which is an under explored 250km by 120km sedimentary belt that is located within the Colombia copper belt that is all part of the Andean copper belt and being sedimentary, it is similar to what you would find in the Democratic Republic Of Congo or DNC which is well known for it's rich copper deposits. 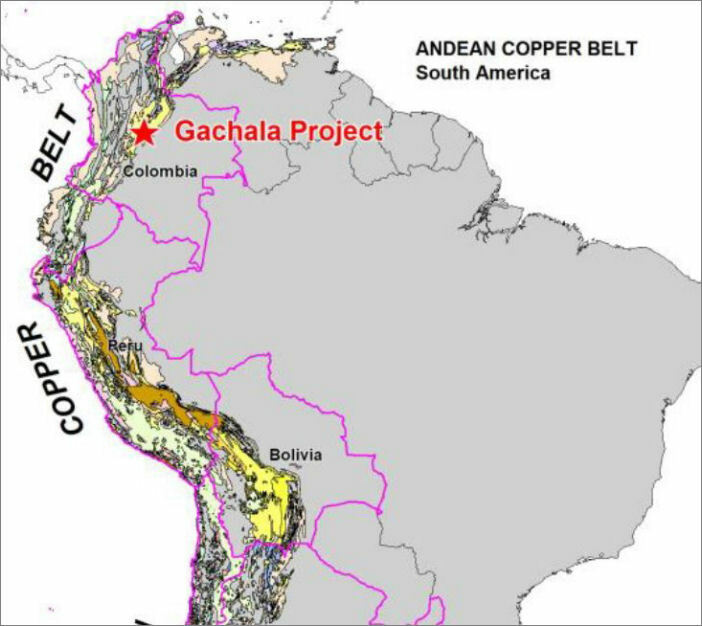 The Gachala portion of the Andean copper belt is known to have over 300 mineral occurances alone. Universal Copper has a 48 KM section of this Galchala copper belt to explore. Historical sampling had samples returning values from 1.6% to 7.82% Cu on ground contiguous to the Universal Copper properties. The company plans to go forward with an exploration program that could include Long Wave Infrared Imaging along with mapping, sampling and trenching to define future drill targets. The company also has plans for it's Poplar project in north west BC. This property has nine prospective target areas to follow up on that were identified after airborne magnetics along with drill results from earlier this year as you can view below. 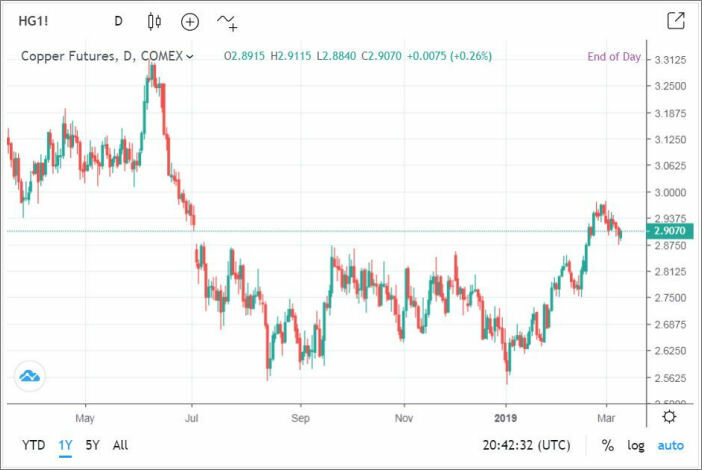 This year could prove out to be an exciting year for Universal Copper with these two copper projects. The company has a very tight share structure of of only 25,972,271 shares O/S at this time. The stock over the past 52 weeks has seen a high of 26 cents and a low of 6 cents.